The Uber car service has made its way to New Hampshire and many are taking advantage of it. Recently there was a news story where an Uber driver is accused of murdering six of his customers over a weekend. No one is sure what made this driver, who passed all of Uber’s background checks, snap over that long weekend. While many are upset about it, Uber has not said it will change the processes in place already. So what can you do? Do you risk personal injury from an Uber driver? Do you stop taking this service if you’re already a user? Or do you skip using this transportation completely if you’ve never used it in New Hampshire before? Here are a few tips you can use to keep yourself safe. The Uber app provides a variety of information about your driver before you get into the car. The app works to connect you with drivers in your immediate area via the GPS settings on your phone. When you find a driver, you can obtain information on them such as their license plate number, photo identification and a picture of their car. Don’t be afraid to verify the identity when they come to pick you up. Check the photo and license information before getting into the car. Make sure that someone knows the car you’re getting into, the place you’re headed and that you’re with an Uber driver. Text your friends or family during the trip to make sure that someone outside of the car has your back. This will help you to stay calm and feel more secure that someone knows where you are during the ride. The app also shares ratings of the drivers themselves to help curb bad behavior from the drivers. Be sure you read those rating from other Uber users and take them into consideration. While all the drivers must face background checks to get hired, there are those, like the driver mentioned above, who can pass them but still cause problems. 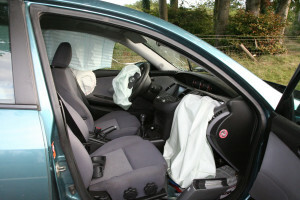 Be sure if you have a bad feeling about the driver or the car, do not get in. Another vital tip is to wait for your Uber driver to arrive in a safe location. Do not simply stand on a darkened street corner. Be sure to wait inside your home, office, or other location where other people are around. The app will update you and notify you when your driver is waiting for you outside. No matter how many precautions you take, things still do happen. What you need to know is that an injury lawyer is on your side to help you if you should face a personal injury from an Uber driver. Our injury law firm will look over your case, help you through the process and help your receive compensation for your injury, damage and losses. New regulations are being looked at but you are your best safety net. Be sure you keep these tips in mind when you’re choosing your New Hampshire Uber driver.